Fade age spots with lemon juice. If you are older than 40 and have noticed flat, brown spots developing on your skin, they are probably age spots. Also referred to as liver spots, sunspots or solar lentigines, age spots are often the result of years of exposure to the sun, according to the University of Maryland Medical Center. If you are unhappy with your age spots, try fading them using natural items that you probably already have in your kitchen pantry. Pour 2 tbsp. 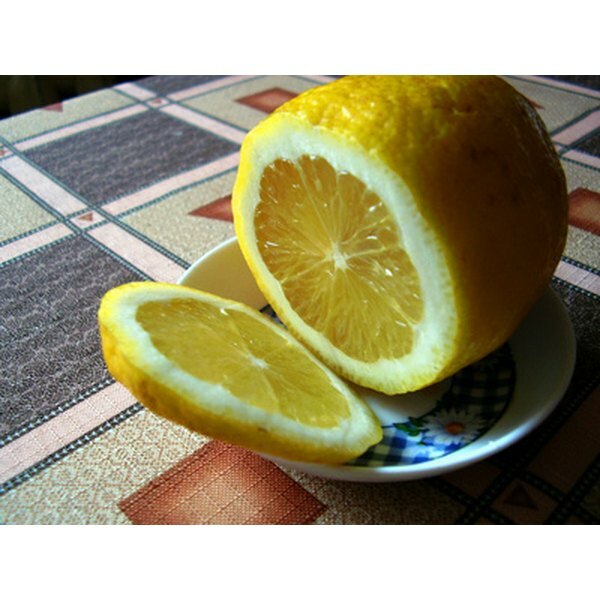 of pure lemon juice into a small bowl. Add ½ tsp. of white, granulated sugar to the lemon juice. 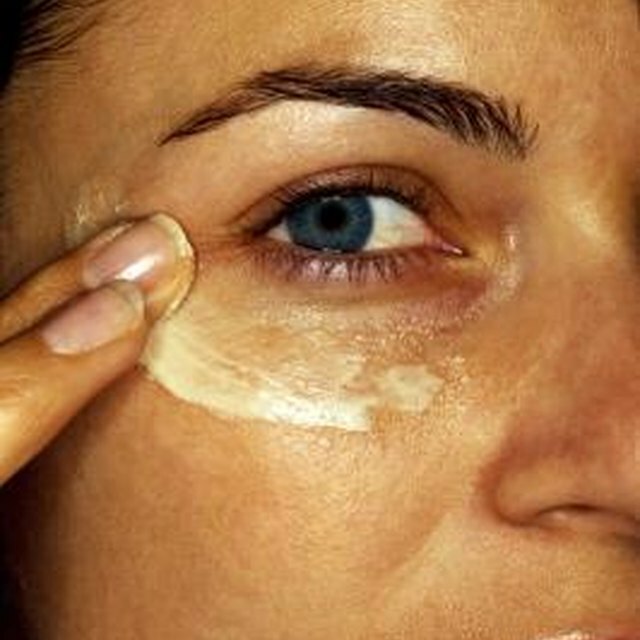 The sugar will act as an exfoliant, aiding the lemon juice in fading your age spots. Combine the natural lemon juice and sugar using a metal whisk. Saturate a cotton ball with the lemon juice and sugar solution. Rub the cotton ball over your age spots. Allow the mixture to sit on your skin for approximately 10 minutes. Rinse your skin with cool water, removing the lemon juice mixture. Pat your skin dry with a soft towel. Apply a moisturizer to your skin. Even though lemon juice provides a natural way to fade your age spots, it can be quite drying. A moisturizer will help to prevent dry, flaky skin. Repeat the process once a week until your age spots fade. Apply a sunscreen to your skin before you head outdoors. A sunscreen with UVA/UVB protection will protect your skin from the sun and help to prevent further skin damage. Keep in mind that fading your age spots is only a temporary fix. If you fail to put on sunscreen and expose your skin to the sun, your age spots will darken once again.